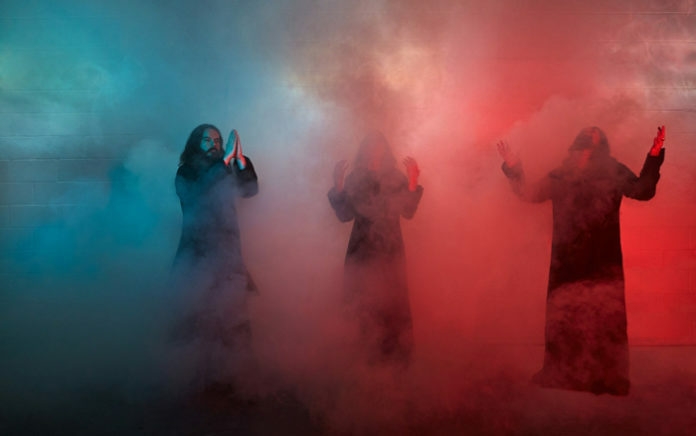 Sunn O))): i nuovi album | Nerds Attack! Quattro anni dopo ‘Kannon’ i signori del drone annunciano ben due nuovi album. Il primo si chiama ‘Life Metal’ e sarà fuori ad aprile via Southern Lord “lavorato” da Steve Albini a Chicago. “It is fully realised and completely real. 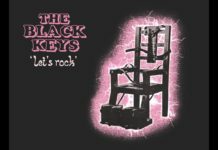 The record was produced by the core of Stephen & Greg & arranged by the greater constellation Sunn O))). Paintings by visual artist Samantha Keely Smith graciously adorn the sleeve and provide a perfect suitable mask to the proceedings. They collide ideas of 19th century romanticism & late 20th abstract expressionism (mysticism) with Sunn O)))’s approach to metal (via reference points of Arbo, Turner, Delville, Richter, Turrel, Wou-Ki)”. Il secondo che vedrà la luce invece in autunno si chiama ‘Pyroclasts’, realizzato sempre con la mano sapiente di Albini. “… with all music performed by Stephen, Greg, T.O.S., Tim Midyett, and Hildur Guðnadóttir”.